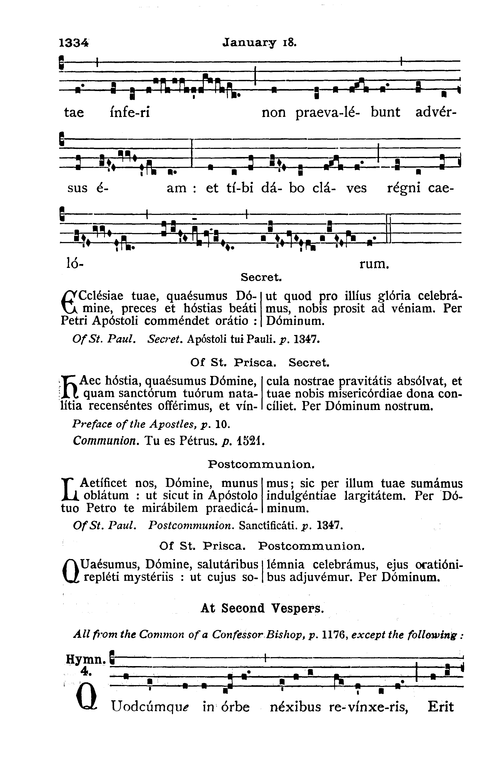 When comparing "Erit solútum cæli in alto vértice" to "Honor tibi decúsque: sancta júgiter", the former has more notes. If "-tum" is a single punctum and "-li" is skipped (occulsion), the number of notes will be the same. "Erit solútum cæli in alto vértice" is originally "E(g)rit(hi) so(h)lú(gh)tum(h) (,) cæ(h)li(h) in(hj) al(g)to(ge) vér(f)ti(ed)ce;(d.e.) (;)"
Jul 21, 2018: Mode was missing. (jeremy.chua.wl) ? Jul 20, 2018: slight amendment to "Petre" (jeremy.chua.wl) ? Jul 19, 2018: Added to the database (jeremy.chua.wl) ?